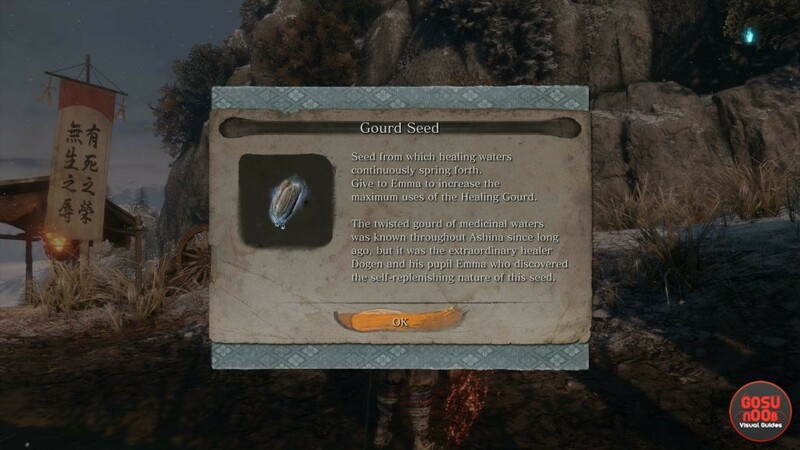 Gourd seeds are a collectible item in Sekiro: Shadows Die Twice. These rare items are used to upgrade the capacity of your healing gourd, letting you use it more times before having to rest at a Sculptor’s Idol. Once you’ve upgraded it fully, you’ll unlock the Ultimate Healing Gourd trophy. If you’re having trouble finding them, this guide will show you all Sekiro gourd seed locations, to help you upgrade your healing flask. Where to find gourd seeds? You’ll get the first seed by defeating a mini boss called General Naomori Kawarada, in the Ashina Outskirts area. The next one comes from Hirata Estate. When you reach the Chained Ogre mini boss, scale the building behind him using the grappling hook. Once inside, turn left and you’ll find the seed in the next room. One seed can be bought from the Battlefield Memorial Mob vendor for 1000 gold. He appears after the Gyoubu Oniwa boss fight. Climb up the stairs and head right, going around the building. Go up the other set of stairs there, and you’ll happen upon the merchant’s tent. 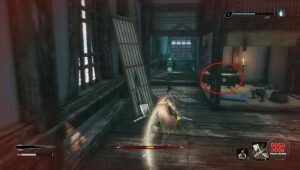 When you get to Ashina Castle, you’ll find one in a chest next to the Upper Town Antechamber idol. Another one can be bought from Fujioka the Info Broker after he arrives to the Dilapidated Temple, for 2000 sen. For more info about where to find him, check out our merchant locations guide. The next one is in the Sunken Valley. Spawn at the Undershrine Valley idol, then drop down and jump across the chams. Go through the tunnel and look up and to the left. Grapple onto the branch, then jump onto the cliff. Climb the ledge on the left and head to the sun-drenched platform across the abyss. Climb the ledge on the left again, and you’ll find the seed under the wooden cover. When you get to Senpou Temple, you’ll have the chance to acquire another seed. It will be in the temple at the top of the mountain, in the room with the three praying monks and a giant with a club. You’ll find the pickup in front of the ancient monk on the podium. If you go to Mibu Village, follow the river until you see a big tree soaked in the orange glow of candles and lanterns. After you deal with the group of enemies around it, you’ll find a gourd seed on the ground. The final seed is at Fountainhead Palace. Spawn at the Palace Grounds idol, then head inside and go left. You’ll see a chest shortly before you reach the door – the item will be inside it. Seed from which healing waters continuously spring forth. Give to Emma to increase the maximum uses of the Healing Gourd. The twisted gourd of medicinal waters was known throughout Ashina since long ago, but it was the extraordinary healer Dogen and his pupil Emma who discovered the self-replenishing nature of this seed.